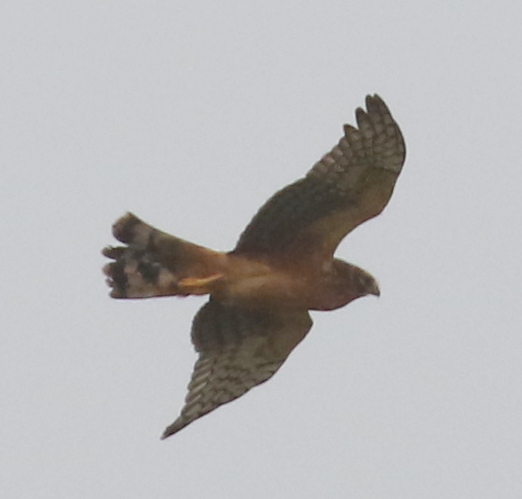 Another long-tailed raptor, but is it a lifer? 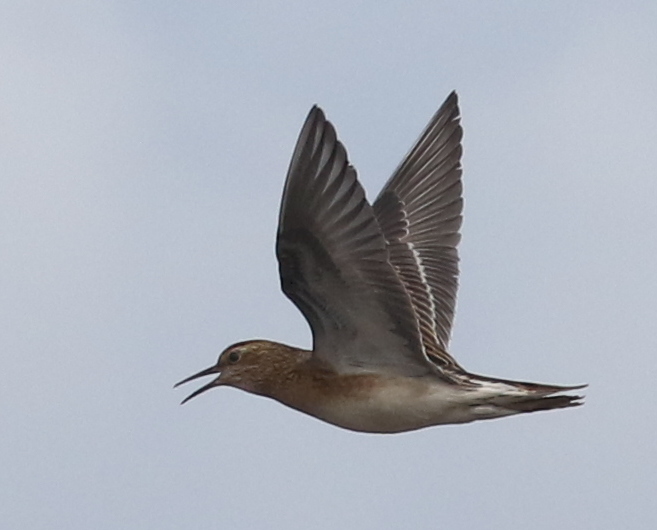 At Contractor’s Camp Marsh, the gimpy Pacific Golden-Plover was still hanging around. Nothing new at any of the willows or spruces. 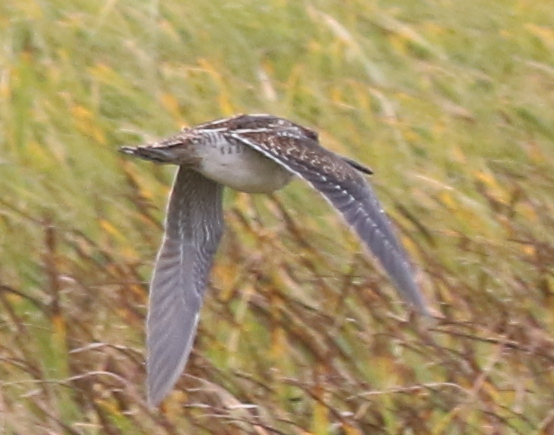 We approached the cuckoo area very slowly today in hopes we could spot it before it flew away again. No dice. Another hundred yards down from where we saw it yesterday, it sprang from the side of the road and disappeared once more — in spite of a lot of searching. Nothing obvious out on the Clam Lagoon Flats. 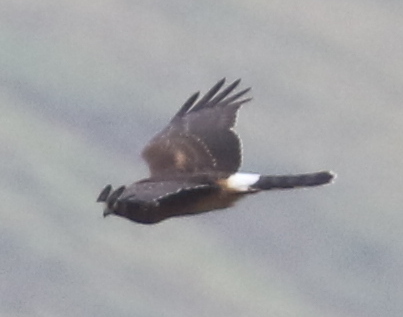 As we drove up to Shotgun Lake, a harrier popped out from the side of the road. Unlike last time, I was able to get photos before it disappeared over a ridge. 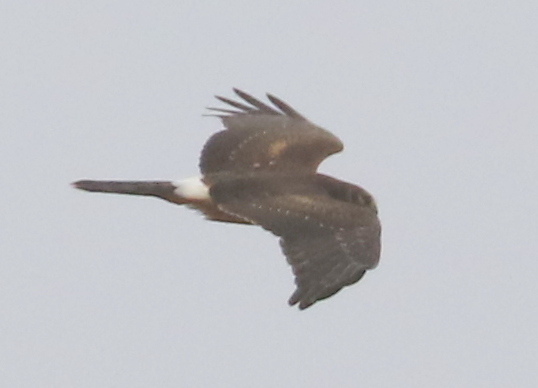 The AOU just recently recognized Northern Harrier as a separate species from the Hen Harrier of Eurasia. So we need to be sure which species this is. 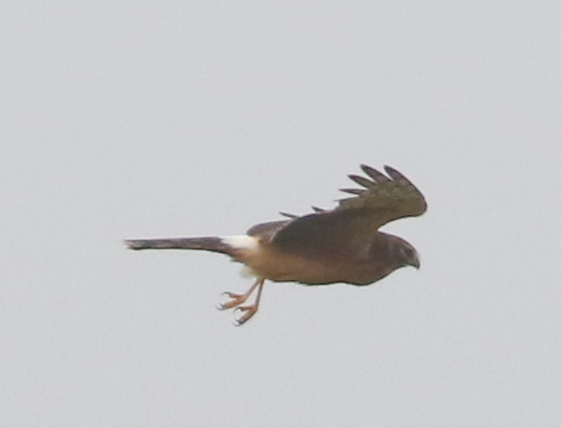 It appears to be a Northern Harrier, but we will need further study to be sure. 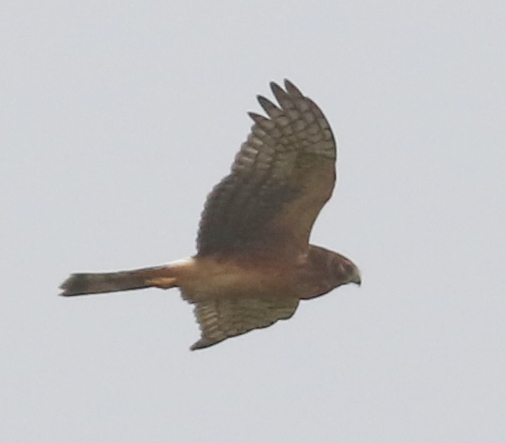 The first harrier we had in 2009 was a North American bird. 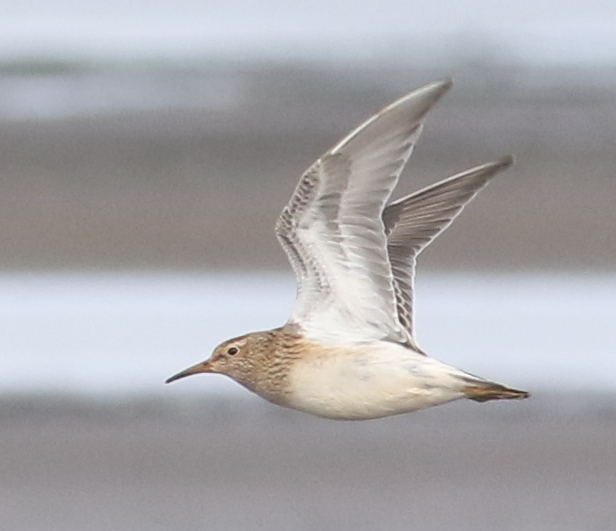 The second one we had flew away too quickly to be either studied or photographed. Northern Harrier?, near Shotgun Lake, Sept 24, 2017. On the other side of Clam Lagoon, there were still 3 Emperor Geese and 30 Sanderlings. Lake Ronnie had a large flock of waterfowl, mostly Mallards, with some Eurasian Wigeon, Greater Scaup, Common Teal, Northern Pintails, and Red-breasted Mergansers. 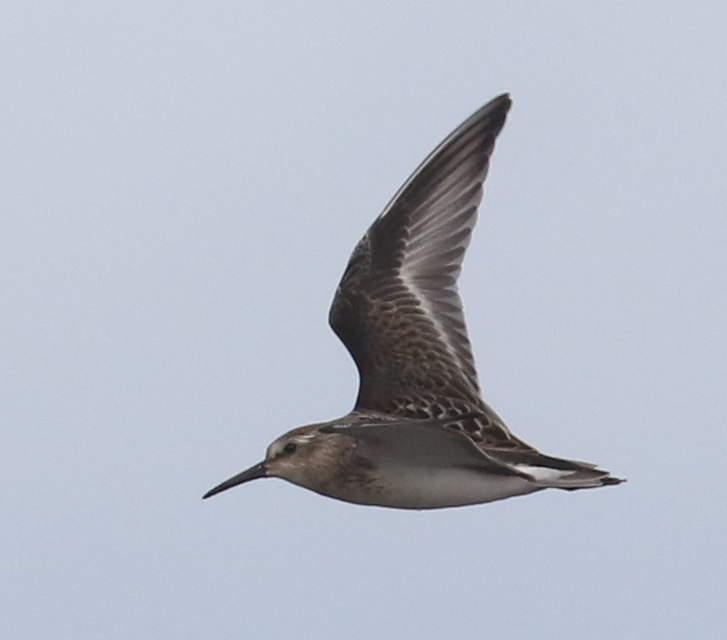 Back at Clam Lagoon, I walked out the Peninsula and saw that the Sanderlings had moved to the point. However, they flew before I could see if any of our peeps were with them. 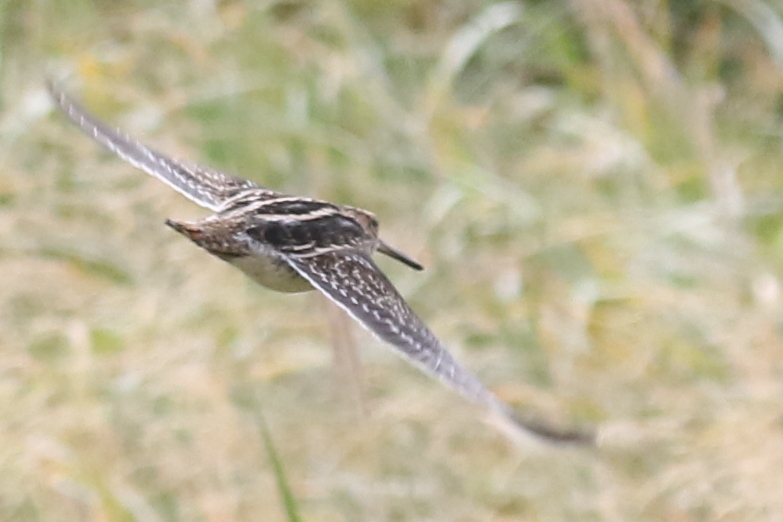 I am getting better at getting flight shots of birds. Here is a sampling from today’s Clam Lagoon marsh edge walk. 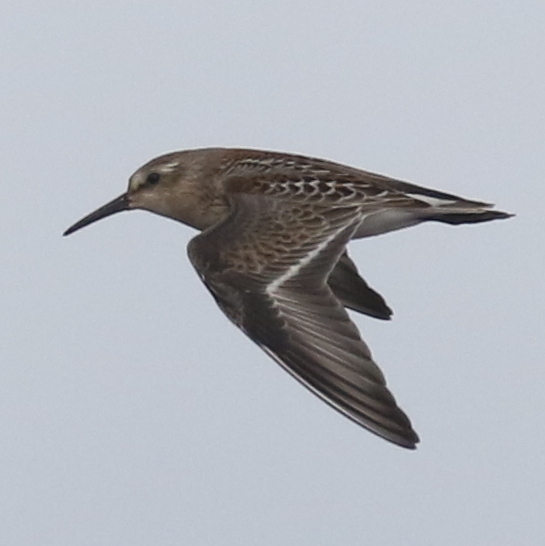 We did not see the Little Stint today. We have not seen a jaeger since Tuesday, the 19th. 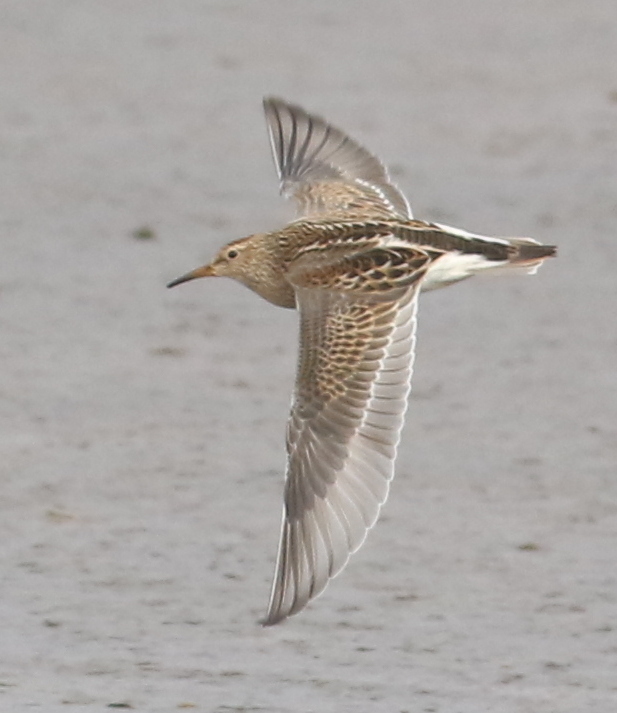 Still no dowitcher or turnstone. Our trip list is 53. Our Year’s List is 93!